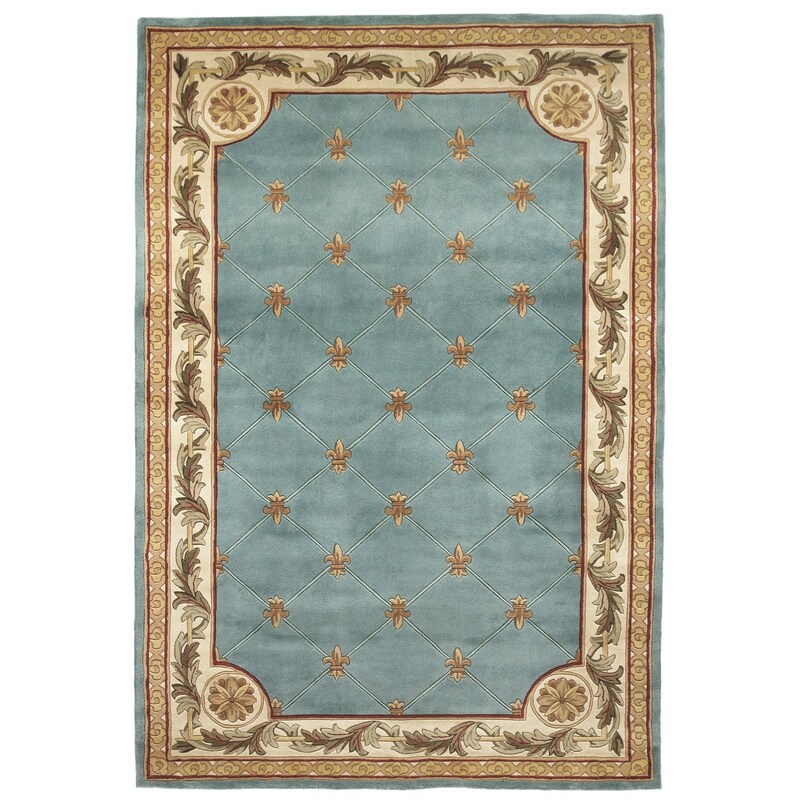 Jewel 0305 Wedgewood Blue Fleu-De-Lis 3'6" x 5'6". Hand-Tufted of 100% Wool with Cotton Backing. Made in China. Vacuum regularly & spot clean stains. Professional cleaning recommended periodically. The Jewel 3'6" x 5'6" Rug by Kas at HomeWorld Furniture in the Hawaii, Oahu, Hilo, Kona, Maui area. Product availability may vary. Contact us for the most current availability on this product.